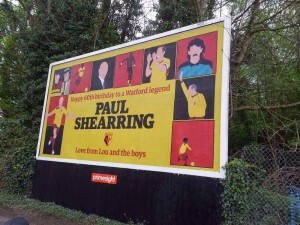 Happy Birthday Paul Shearring! You ‘Orns! 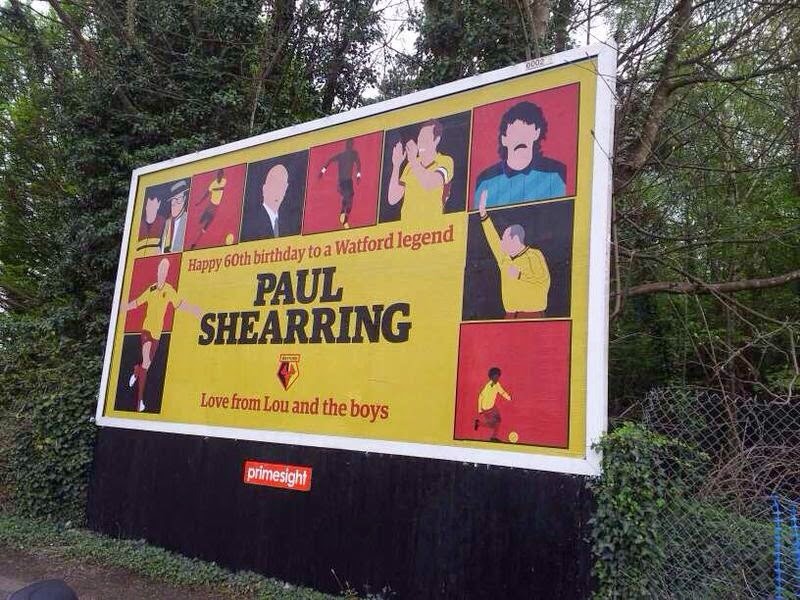 This is the incredible birthday message that Paul Shearring is enjoying today! Organised by his three sons and wife, this fantastic billboard is currently on display in Croxley.